A freebie! 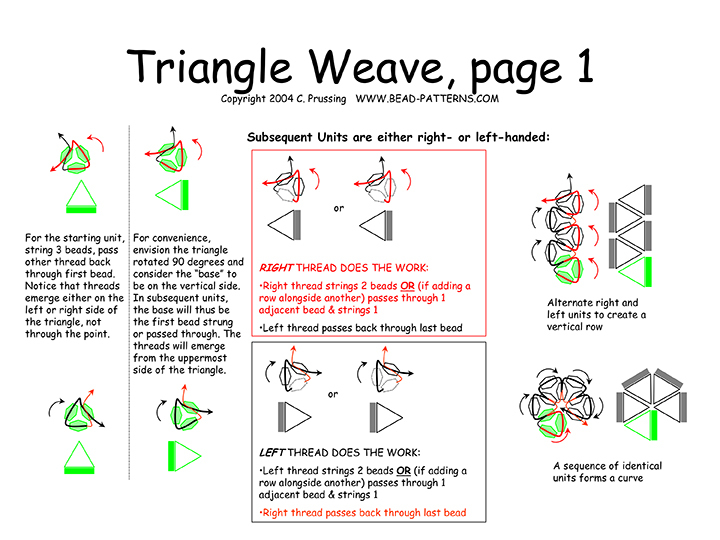 Triangle weave, a form of cross-weaving that's a cousin to right angle weave, demystified. 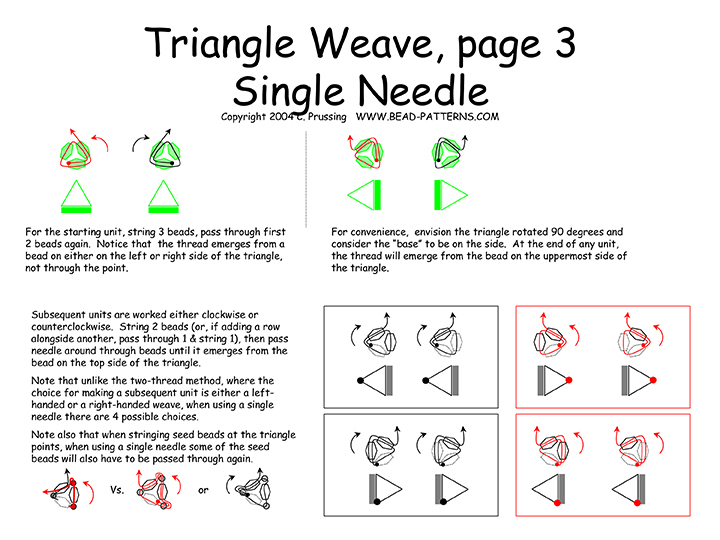 Hopefully this will enable you to read any triangle weave pattern with confidence. 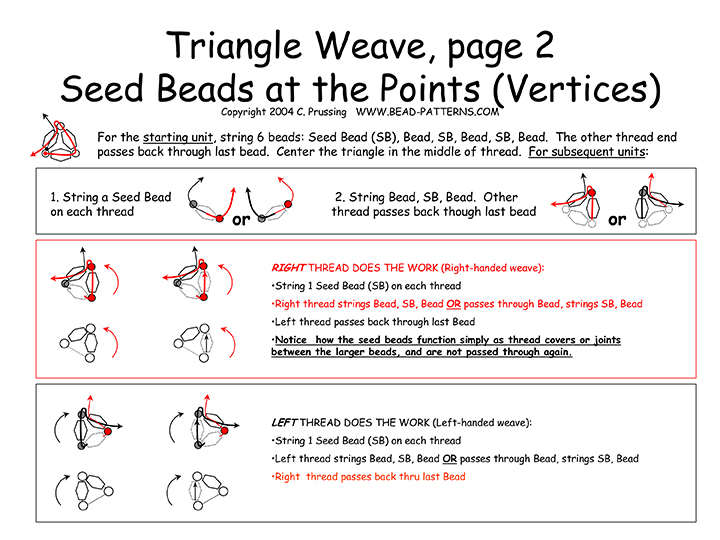 Both two-needle and single-needle methods are diagrammed and discussed.